Ringling Bros. and Barnum & Bailey Circus first wowed audiences in the 19th century. For the iconic American spectacle's final act, it will broadcast the final performance on a 21st century medium: Facebook Live. 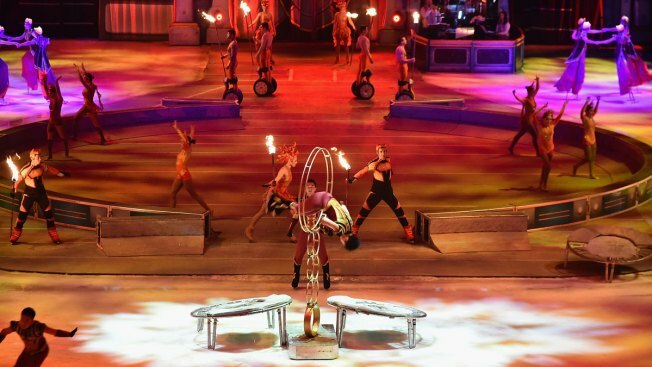 The company told The Associated Press this week that the final circus show on the evening of May 21 will be streamed live on the social media network and on the circus's website. The final performance will be in Uniondale, New York. Earlier this year , Feld Entertainment, the company that owns the iconic circus, announced that the show would end in May. The circus's decline happened due to a variety of factors. Declining attendance, combined with high operating costs, changing public tastes and prolonged battles with animal rights groups all contributed to its demise. Sam Gomez, the circus's vice president of digital and relationship marketing, said Ringling did something similar, although on a smaller scale, during the final elephant act performance in 2016. During that broadcast on Facebook, Ringling showed a pre-recorded intro, then cut to the live act. For the May 21 show, the entire performance will be broadcast live from start to finish and will be hosted by Kristen Michelle Wilson, Ringling's first female ringmaster. "It's basically a TV shoot and we're certainly thinking about lighting and sound," said Gomez. "How will this look when you're looking at it on your phone or your tablet? We've had lots of conversations about tight shots so you can see the performer's skill and expressions and their artistry." Gomez said Ringling will leave the video up for a short while — it's unclear how long — but not forever. The live show allows people to "witness the end of an era." "We wanted to give families around the world one last chance to experience 'the greatest show on earth' together," he said. The circus, with its exotic animals, flashy costumes and death-defying acrobats, has been a staple of entertainment in the United States since the mid-1800s. Phineas Taylor Barnum made a traveling spectacle of animals and human oddities popular, while the five Ringling brothers performed juggling acts and skits from their home base in Wisconsin. Eventually, they merged and the modern circus was born.